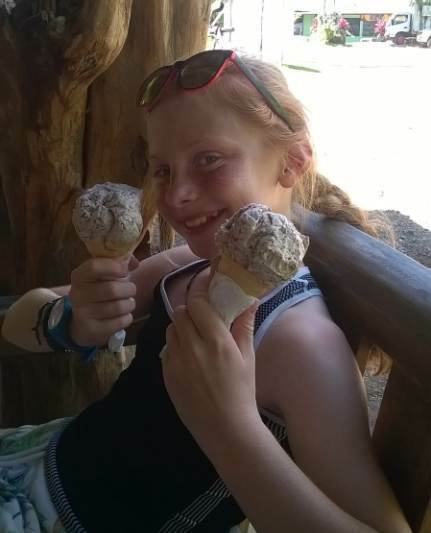 We were fortunate enough to have received this fabulous account from 11 year old Ruth who took part in a volunteering project with her mum at the end of last year. 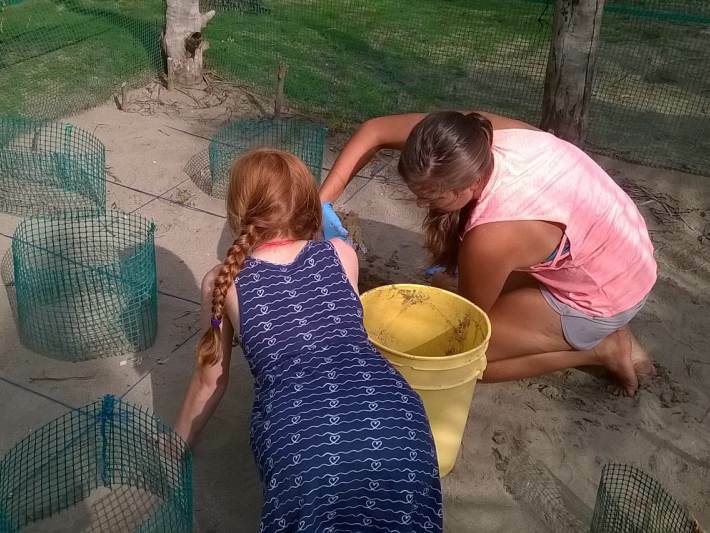 Ruth and Karen headed out to Costa Rica to help contribute to turtle conservation efforts. It’s great that we can share Ruth’s experience and hopefully help other families with intrepid children to find out what it’s all about! When I first heard mum had booked for us to go to Costa Rica to do the turtles, I was over the moon. Oyster sorted it all out with us and made it easy and answered all my questions. What we did was collect eggs, look after the hatchery and let the baby turtles go to the sea. We normally saw turtles laying. My favourite bit was seeing the baby turtles get released to the ocean, they’re really funny. 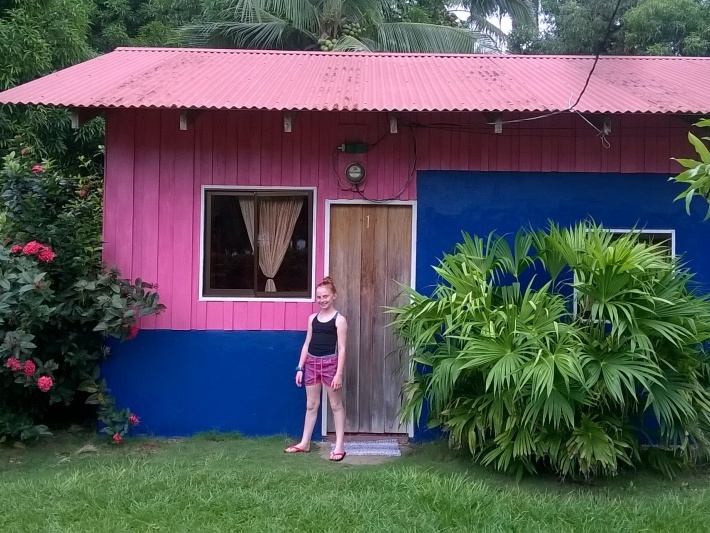 Our little cabin was basic but nice, the fruit was amazing – fresh mango, pineapple and watermelon. We played card games, we swam in the lagoon and in the sea and walked to the rivers. I loved the bumpy drive to the town to buy the best ice cream ever. The turtle office was there too they have amazing carvings, necklaces , coffee which my mum loves so much . I loved sitting and watching the sunset, it was magic. I loved sitting there thinking how good this is. I loved walking down the beach in the morning or afternoon. The turtles were awesome. We got to see the turtles lay the eggs, the best bit was seeing the turtle dance – it is what they do when the are covering up their nest. Then we dig the eggs up and measure the turtle and the size of the hole, we take the eggs back to the hatchery and place them in another hole – we do this to keep them safe from cats, dogs, birds and ants, poachers and locals and hazardous things. When they hatch we place them near the sea so they can crawl to the sea, but if it is midday we put them in a bucket and in the closet until later, because they would die if they got too hot. I loved this holiday there was so much to do and see and learn. If you would like to take part with your family and enjoy a holiday with a bit of a difference, then make sure you have a look at our family volunteering section on the website featuring Costa Rica and many other fantastic opportunities.